This story follows the tale of Gallows, a Hunter who gets caught up in a whirl of conspiracy, revenge, and just plain, flat-out rollicking bad luck. It also follows Serena, a young girl who isn’t what she seems and has powers she knows little about. I’ll start with the things I really enjoyed. Interestingly enough, I feel it was the side characters who really shined. Damien, Pierro, and V (who we didn’t get to see much of and I wish there had been more) were among my favorites. They were unique and engaging. I also really appreciated the world-building. It’s a unique society, with hints of bigger-picture politics and intrigue and conspiracy, which I usually enjoy. This was no exception. There were surprising plotlines, the writing was engaging and humorous, and generally speaking, the action kept me on the edge of my seat. A few things tripped me up, but not to a large degree. Serena was bland, in my opinion, and there were aspects of her character that felt inconsistent. She cares very little when someone in her orphanage is murdered, but then worries about a stranger she barely knows who goes missing. I enjoyed Gallows a bit more. I feel he was more consistent and believable, as well as more likable. The plot could have used some streamlining. It was a bit haphazard, and there were points where I was thoroughly confused and didn’t know what was happening. It would come together, but then it would shoot out again in random directions. This left the climax rather disjointed, and I felt like there were five or six mini-climax points as opposed to the story leading somewhere concrete. This won’t bother everyone, however. I can definitely see why many readers love this book. I enjoyed it, too, despite some of my complaints. All in all, if you are looking for something different and unique as far as themes, world-building, and atypical characters, then grab this one. The Sword of Kaigen is the first book I’ve read by this author, and certainly won’t be the last. I had a wide range of feelings and thoughts when I first started reading. What I’ll do for review purposes is start off with what I had (minor) complaints about before I get into the massive amounts of positive things. But first things first. You can’t read this book thinking it’s about a progressive story, with a typical 5 act structure. The book centers around one battle that takes place about halfway through, and on two characters and how they respond. It took me a bit to get used to this concept. Typically I’m drawn to books that take you multiple different directions with the plot lines, and have some happenings that lead up to the plot climax. This is not that. So, when I finally understood this, I enjoyed the story much better. I’m sure this was purposeful on the author’s part (since this story takes place in a world she already created) so the book, from what I understand, is kind of a prequel type of story. This actually isn’t a complaint as much as a side note to how you should approach reading this book. A couple things that I had to get used to. There is a LOT of concepts, terms, and language that is new. There is a glossary, which is helpful, but it was so pervasive that at least twice a paragraph I was having to go back to reference what was being said and talked about. For readers familiar with the author’s other works, this probably won’t be as much of a problem. But for me, it was almost too much. I nearly put the book down. I’m SO glad I didn’t. On the one hand, this lends to really being deep in the world, because of course the characters will know exactly what is going on. But there were other sections of the book that were info dumps (helpful in some cases) but I wish there had been a tad bit more of this so I had a better idea of what was going on without having to constantly be referencing the glossary (which is more difficult when reading an eBook, which I was.) Again, all that to say, stick with it. You won’t be disappointed. Now, on to the good stuff. For me, there were three things that make this writer a stand-out. The book focuses on two characters, for the most part. Mamoru and his mother, Misaki. However, their stories don’t intersect that much until a good bit into the story. This isn’t a problem, though, because it’s actually a very clever worldbuilding element. You right away get the sense that family relationships are VERY different, but without being directly told this is so. That’s my first rave about this author: the worldbuilding is incredible. You immediately get tossed into a fantastic, unique world and story. Secondly, the characters are multi-layered, unique, and far from predictable. Initially, I REALLY disliked Misaki, because her flaws seemed to far outweigh the good things about her. But then it hit me: this was absolutely intentional and vital to the story itself. Because not only is Misaki an incredibly unique and relateable character, it gradually comes out that this self-view she has is not accurate. And where it IS accurate, it only reveals the brokenness of her story and of the world itself, making her one of the most real, understandable, and fascinating characters I’ve ever read in any book. Ever. And I read A LOT. Mamoru is also a very well-done character. It was hard at first to get into his story, since initially he comes across as just like every other coming-of-age teenager I’ve read. However, his character arc takes such a great turn that I finally grasped the scope of what the author was trying to accomplish, and was totally blown away. It finally struck me that this is more a story about the characters than the plot itself. And the story was so well crafted that I can’t even complain about it. Lastly, the themes of this book were deep and so well done that you get the feeling the author is some multi-bestselling genius. Topics such as relationships in marriage, parenting, sexism, patriarchy, self-worth, and a host of others left me in awe. This story hits a hard punch to the gut in all the best ways. I can’t remember the last time I got choked up so many times reading a novel. It’s not just current and raw, it rips your heart up and then heals it. A HUGE 5 stars. Wish I could leave more than that. This book isn’t even a risk. It’s a guaranteed enjoyable, emotional experience. Find it on Amazon or add to Goodreads. I’m a little bit behind on the times. But late is better than never, right? Throne of Glass has much to commend. It sets up the world well, although I feel like a little more worldbuilding would have been helpful. We get a glimpse of the magic system, too. But it seems the author almost entirely focuses on character development. A fair choice, especially considering this is a long series. My preference tends to be worldbuilding and plot alongside character arcs, but I can see why some authors choose not to. The story centers around Celaena, an eighteen year old assassin. She is a convicted criminal, serving time in what amounts to something similar to a Natzi concentration camp. She’s given a choice: compete to become the Kings Champion, and it she wins, earn back her freedom by being his assassin for four years. The concept of the book is intriguing. A competition isn’t anything new in fantasy or YA literature, but the stakes are definitely high. The three main characters (Celaena, Chaol, Dorian) have the stereotypical love triangle element, which I feel is entirely overdone. This was one reason this book is 3 stars for me. Nothing new is added, and this takes up a large portion of the character development. We do however get good glimpses into motivations, and a bit of worldbuilding, through this element. The author took advantage of the trope to do a little more with it, so I appreciated it. Celaena is a fascinating character. There were a couple things about her I felt didn’t fit all that well. She was much too quick to recover from her time in prison without any residual effects besides fear of returning. No PTSD besides an occasional dream, but really, that element came in more to do with her past and her parents than her stint in Endovier. Besides that, though, I really liked her. I’m super curious about her relationship with Arobynn, and I hope that comes out more in the following books. She was badass without being overdone, had elements of vanity that made her seem human, and just enough snark without being annoying. All in all, well written and likeable. Dorian was bit boring to me, and Chaol was definitely my favorite side character, although he was a bit bland in my opinion, too. I hope the next books expand on their characters and make them more interesting. I liked that with Dorian there were hints of him wanting to man up and stop being a spoiled Prince, and Celaena seems to be part of that motivation. And with Chaol, I liked that his personality and temperament fit the fact that he is a soldier. Yet we saw softer sides to him, that make the reader want to cheer him on. My favorite part of the book was seeing glimpses into the magic system and the In-between. This makes me think I’ll really enjoy the second book if this comes more into play. This book was an easy read, more about introducing us to the characters than anything else. 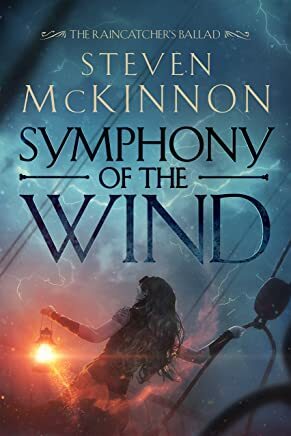 I will continue reading the series, since the hints of what’s to come are leading in a direction I usually like: darker, more magic, more political intrigue. Grab it on Amazon or add it on Goodreads. I enjoyed this book overall. 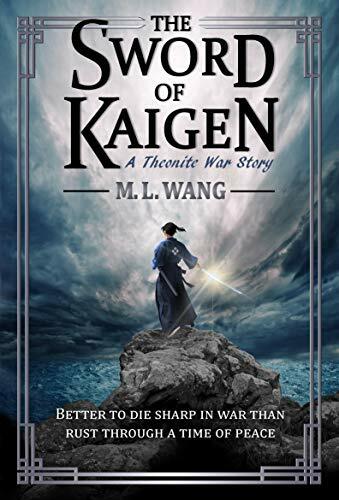 It follows the story of Auric Manteo, a retired explorer and fighter, who is called forward to help with returning an ancient relic back to the Djao temple where it originated. A plague has broken out, and it is thought the relic is the cause, a god dispensing retribution for the theft. There were some really great elements to this story. First, the world-building was extraordinarily well done. You get a really good sense of the culture, the various religions, the history, the current political scene, and the machinations of court life. The whole setting of when Auric and Belech are bringing their quest to the Queen is fantastic. The characters are really well developed, too, and memorable. 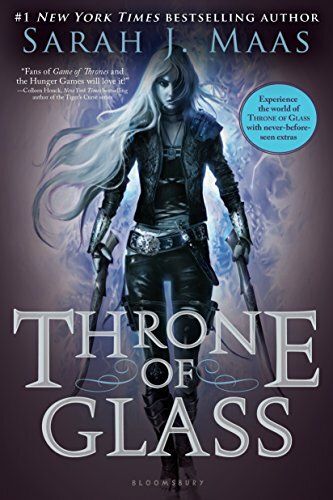 I especially liked the insane characters: you get a real sense of the “wrongness” of the whole situation with the queen, and later with the count when he gives Auric the sword. Auric himself was pretty well done, too. I found him a bit boring, in a typical “always does the right thing” type of way. The only real thing that interested me was his PTSD. That aspect was phenomenal, but otherwise, I found him a bit one-dimensional. I liked him, but I didn’t LOVE him. The side characters is where the author seemed to really shine: each of them have something memorable, and each of them have something endearing yet complex. The plot dragged, which is why this is a 4 instead of a 5 star for me. It seems pacing was sacrificed for the vast amounts of world-building. The last few chapters were so, so good, and I couldn’t put them down. But the middle, up until about 70% of the way through, there were times I had to force myself to keep going. The good thing is, the characters were so well done that I DID keep going. 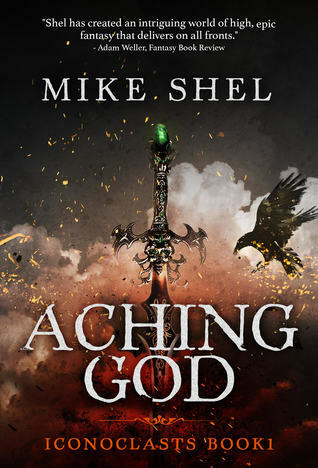 All in all, if you are looking for a fantasy book with great worldbuilding, well-fleshed characters, and a killer of an ending, grab this on for sure. Get it on Amazon or add to your Goodreads. EB Dawson is a part of the Phoenix Fiction Writers, a marketing collective of speculative fiction authors of which I am also a part. PFW authors consistently put out quality work, and Dawson is no exception. I’m not sure where to start with this review. There were so many fantastic elements to this book. For starters, I think it can all be summed up in one line: “This story isn’t about you.” One character says it to another, and the truth hit me hard. It’s so simple, yet so easy to forget. Each of our stories are so much bigger than we think, and the main character, Anissa, embarks on a journey to show just how true it is. The descriptions in this book border on stunning. There were moments I felt like I was back in the mountains of Bolivia hiking to small villages with medical supplies strapped to my back. I’m not sure what the author had in mind when she wrote some of the mountain and village scenes, but that’s what it felt like. Rural, beautiful, big, and a reminder that it’s important to step outside our comfort zones. The characters were in-depth and well fleshed out. I know some of them have side short stories, but even those characters still seemed to have motivations that were believable and real. One of Dawson’s strongest points in her writing is the ability to have characters with many sides. They aren’t one dimensional, a pet peeve of mine particularly reading indie authors. Dawson blows it out of the water. Carson is a good example: is he a good guy, a bad guy, or both? Does he want to do the right thing, or is he only interested in himself? 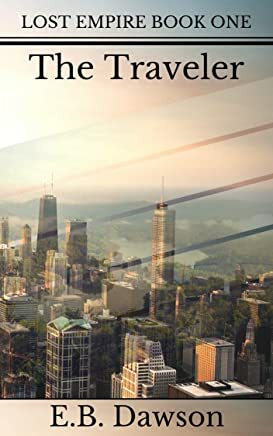 Is he a narcissist, or does he have the ability to empathize? Bit by bit you see layers to him as the story unfolds. One last thing, or I’ll go on forever. A lot of books have tackled traveling, whether it be time travel, jumping from one world to another, and so on. This book takes a trope that can often be overused and puts a unique edge to it. For me, it was the politics. Both worlds have clear-cut structure, and the interaction between those two structures was compelling. The theme of forced democracy, abuse of the planet, indoctrination of children, and other such “political” issues were delved into, in a way that I’ve never read before. There were times it was tackled head on, other times it was handled delicately. I feel that Dawson’s second strength, besides character development, is politics. This is evident in other books of hers, as well, but it really shines in this one. The good far outshone the quirks in this novel. There were a few instances of head-hopping, but it wasn’t super distracting. There were a couple action scenes that were hard to follow because it was mostly dialogue, which was odd. But it didn’t take away from the author’s ability to completely submerge you into the worlds in this book. All in all, I can’t recommend it enough. Grab it on Amazon or add to your Goodreads. Hannah Heath is a part of the Phoenix Fiction Writers, a marketing collective of speculative fiction authors of which I am also a part. PFW authors consistently put out quality work, and Heath is no exception. Everything she puts out is pure gold (see what I did there?) She is quickly becoming one of my favorite authors. 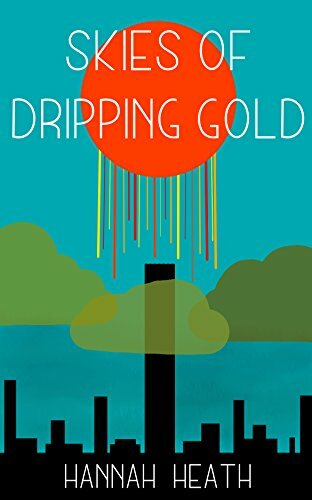 Skies of Dripping Gold is my absolute favorite short story I’ve ever read. Heath manages to create a grand, epic scope of a world in just one short story. Skies of Dripping Gold is a beautiful, haunting story. I read a lot, yet it is rare to find something that really touches you, in your heart and soul. But this story did. The sibling relationship between Gabriel and Lilly was unique. The concept of faith was illustrated in a way I’ve never read before. The themes of pain, suffering, special needs, and love were powerful. There is really no reason why this story shouldn’t be read widely. I loved it. Go grab this one now for only 99 cents. Or add it to your Goodreads TBR. It’s a steal. Trust me on this one.